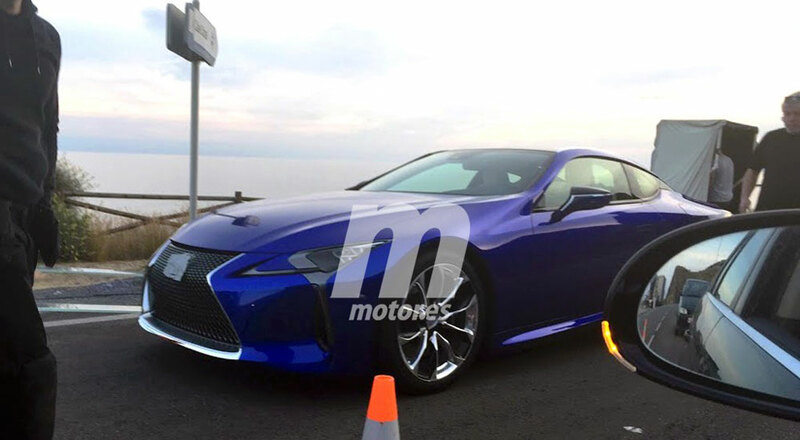 Spanish website Motor.es has spotted an Ultrasonic Blue Lexus LC 500 filming a promotional video in Costa de Almería, Spain. Along with the new color, this photo also marks the first time the new LC coupe has been seen on the road without camouflage. Motor.es reports that the LC will have its European debut at the Geneva Motor Show in March. Bulldog 1: Wonder why they taped over the Lexus logo on the grill?